Elevated dopamine efflux through the dopamine transporter may underlie some forms of attention-deficit hyperactivity disorder (ADHD), according to Mazei-Robison et al. The authors identified a mutant form of dopamine transporter in two siblings with ADHD and expressed the mutant and wild-type forms in HEK-293T cells. Although expression levels and dopamine uptake were similar for mutant and wild-type transporters, the mutant transporter exhibited greater dopamine efflux under both basal and depolarized conditions, due to a greater sensitivity to intracellular sodium concentration and a higher affinity for intracellular dopamine. A role for increased dopamine efflux in ADHD was unexpected, because a common treatment for the disease is amphetamine, which also increases efflux through the wild-type transporter. Remarkably, however, amphetamine reduces efflux through the mutant receptor. Although the mutation described is extremely rare, alterations in dopamine efflux through the transporter due to mutations in transporter regulatory proteins may underlie other forms of the disease. Learning-induced structural changes in the human brain were previously measured in young adults using high-resolution, three-dimensional magnetic resonance imaging and voxel-based morphometry. Boyke et al. have now extended this research to show that such structural changes also occur in older (50- to 67-year-old) adults. As in the previous study, subjects were scanned three times: before learning to juggle, after 3 months of juggling, and after 3 additional months without juggling. Although the older adults did not learn to juggle as well as younger adults, those that did learn showed similar increases in gray matter in the visual motion area MT/V5. Unlike young adults, older adults that learned to juggle had increased gray matter in hippocampus and nucleus accumbens compared to controls. As in young adults, these gray-matter changes were transient, returning to baseline after 3 months without practice. These results indicate that human brains retain some structural plasticity as they age. The size of song nuclei in some songbirds varies with seasonal changes in androgen levels, growing during the reproductive season and then shrinking via neurodegeneration. 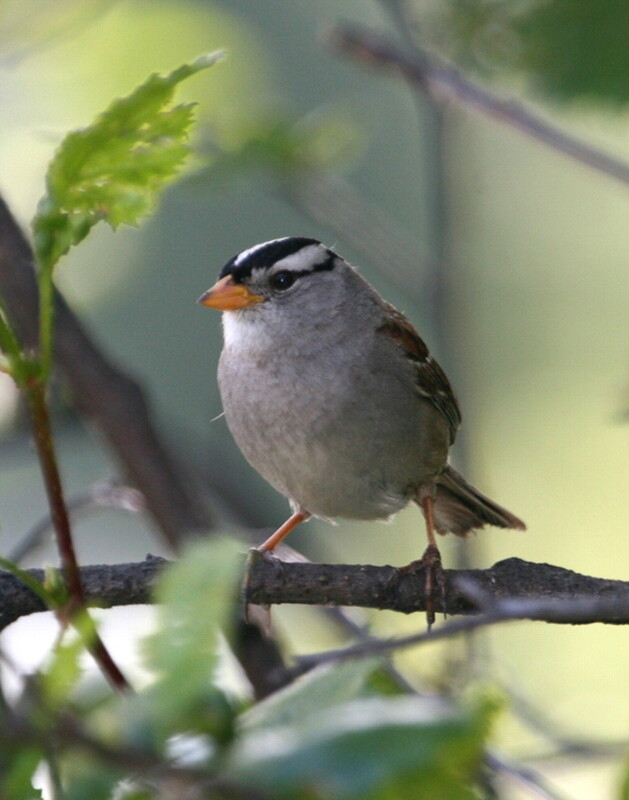 These changes can be induced experimentally in white-crowned sparrows by controlling testosterone levels and photoperiod. To determine whether inhibiting caspase—the primary mediator of programmed cell death—could prevent neurodegeneration, Thompson and Brenowitz infused caspase inhibitors unilaterally into HVC, a song nucleus of white-crowned sparrows, using an osmotic pump mounted in a backpack. HVC volume, soma size, and neuron number were greater in the infused nucleus than in the contralateral nucleus after testosterone withdrawal, and the number of degenerating neurons was lower. Furthermore, neurons in a downstream target nucleus of HVC were larger on the infused side. These results indicate that sustained infusion of caspase inhibitors can protect telencephalic neurons from programmed cell death, and may be a promising therapeutic intervention for neurodegenerative diseases. The song nucleus HVC in white-crowned sparrows undergoes neurodegeneration following testosterone withdrawal and a switch to short-day photoperiod. Infusion of caspase inhibitors prevents neurodegeneration. Photo by the U.S. Fish and Wildlife Service. See the article by Thompson and Brenowitz for details. The ability of folic acid supplements to prevent neural tube defects in human development is well recognized, and folate deficiency has been linked to neurodegenerative and psychiatric diseases in adults. The molecular effects of folate deficiency include increased levels of homocysteine, increased uracil incorporation into DNA, and increased DNA strand breaks due to uracil excision by uracil-DNA glycosylase (UNG). To investigate which of these molecular effects contribute most significantly to neurological effects, Kronenberg et al. examined the effects of folate deficiency in Ung knock-out mice. They found that some effects of folate deficiency (notably, extensive degeneration of hippocampal CA3 neurons and increased despair- and anxiety-like behaviors) were present exclusively or were worse in UNG-deficient mice compared to wild type. Other effects (including changes in monoamine levels and decreased adult neurogenesis) were independent of genotype, suggesting that an increased presence of uracil in DNA contributes to some but not all effects of folate deficiency.